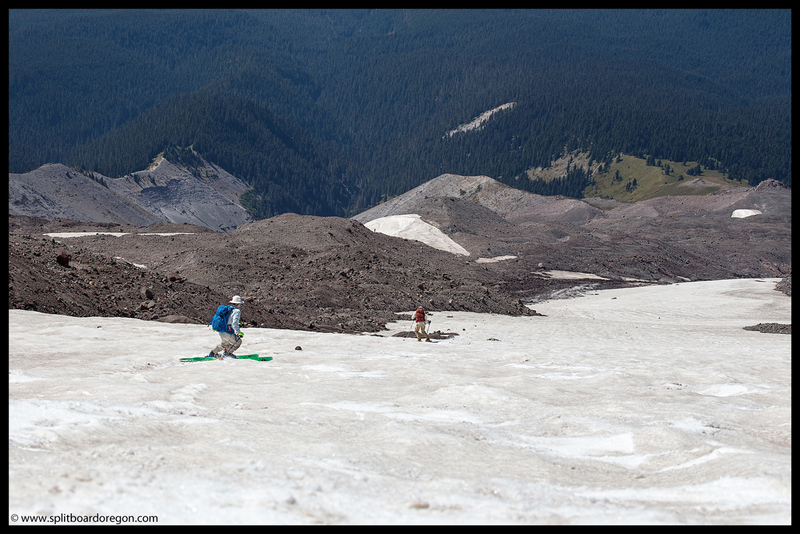 The Zigzag Glacier covers an area of roughly 190 acres, and sits on the southwest flanks of Mt. Hood between the Palmer and Reid glaciers. It starts in the mountain’s crater just west of Crater Rock above 10,000 feet, and it’s upper reaches are part of what’s commonly known as the West Crater Rim climbing route. The glacier flows south to an elevation of approximately 7,500 feet at it’s terminus, where it’s meltwater feeds the Zigzag River, a tributary of Sandy River. 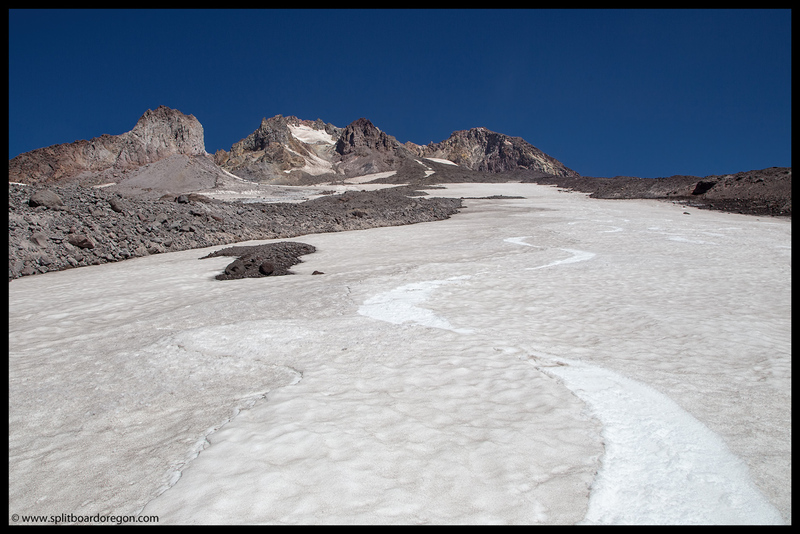 Like the other glaciers on Hood’s south side, the Zigzag has retreated significantly in the last century. Joel Palmer, for whom the Palmer Glacier was named, is credited as the first white man to set foot on the glacier while searching for the best route from The Dalles to Oregon City in 1845 with Sam Barlow (who established the Barlow Trail a year later in 1846). He noted his intimidation of the crevasses and broken surface of the glacier. Subsequent climbing parties also noted the larges crevasses, with at least one party reporting falling into one in 1887. 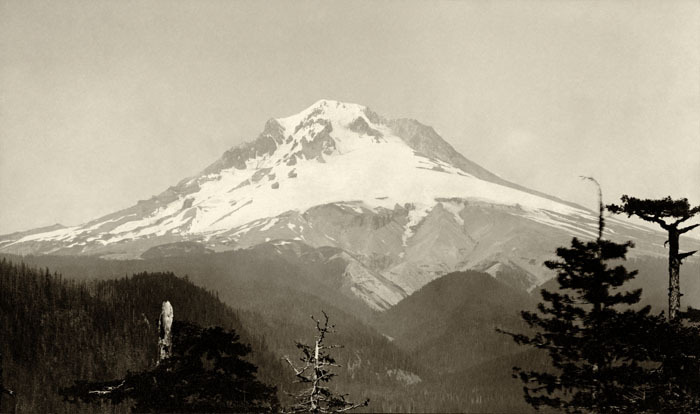 Early photographers found the south side of Mt Hood an inspiring subject to shoot, and many photos were taken in the late 1800’s which showed both the mountain and the Zigzag. The below photograph is courtesy of Old Oregon, and was taken by Frank Abell circa 1885. 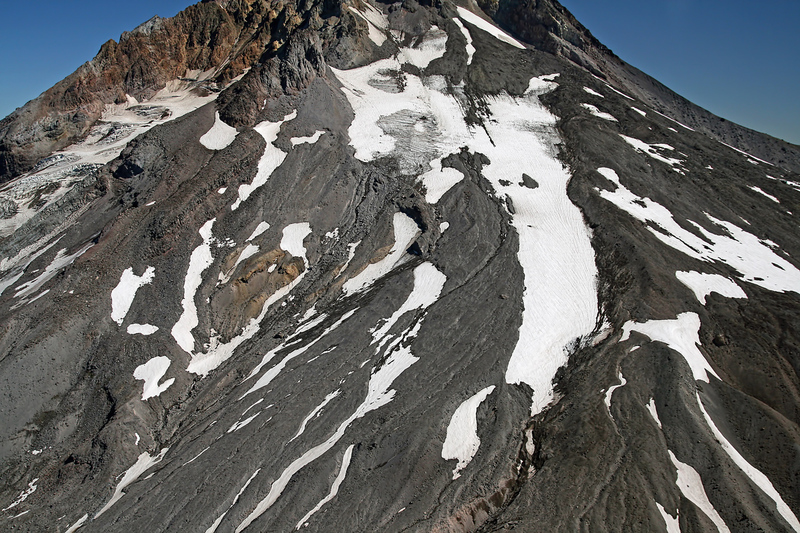 The Zigzag glacier of today sits in stark contrast with the glacier of 150 years ago. No longer do seracs, crevasses and moving snow and ice dominate the scene. 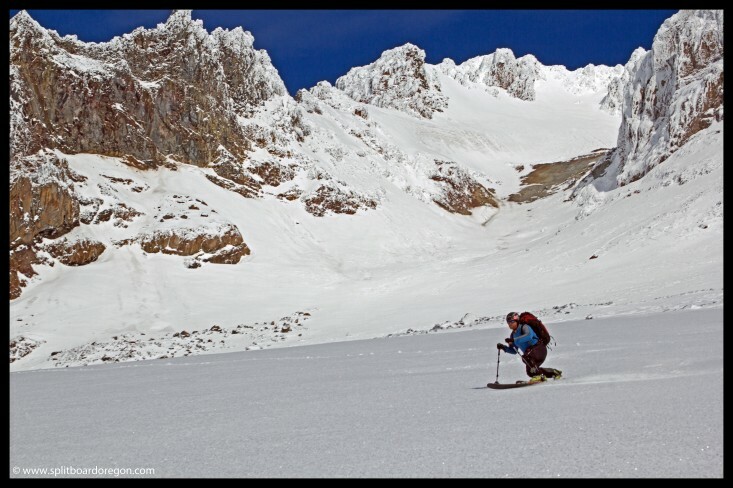 Today, a small permanent snowfield, mellow in angle and pitch lends itself to making turns year-round in a crevasse free environment. The lines off Illumination Saddle offer a few steeper turns, with the fall line of the Zigzag allowing for a couple thousand feet of vertical. Staying to skier’s left allows one access back to the Timberline Ski area near 7000 feet, while riding down the glacier’s center or skier’s right may require hiking back up to stay out of the Zigzag Canyon. 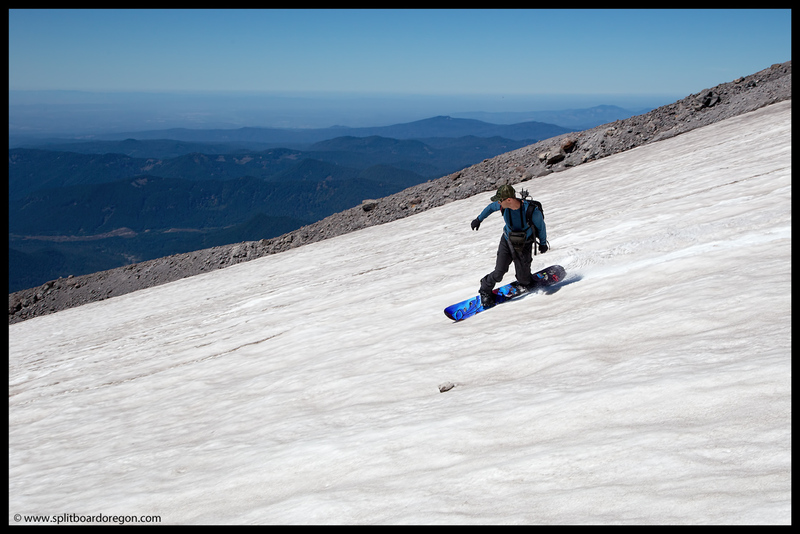 Depending upon the season, a long descent all the way back down to Timberline Lodge without removing your gear from your feet is possible. Use caution on the upper slopes above Illumination Saddle, as avalanches are common. The bottom line: the Zigzag Glacier has some interesting history and is a fun place to ski and ride!